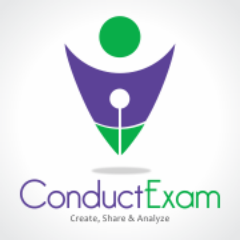 Conduct Exam provides a robust online examination system which offers impeccable assessment solutions through which Institutes, Companies, Universities and other organizations can conduct examination with ease. Conduct Exam is a powerful web-based online exam software. With this online testing software, the administrator of online examination system has full freedom to create an online exam or questions at any point of time. This online test can be shared among all users of the system. The user also has the flexibility to give the test at any time and from anywhere.